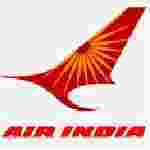 Air India Engineer Trainee recruitment 2016-17 notification apply for 280 posts : Air India limited welcomes application for the position of 280 graduate engineer trainee vacancies. Candidates who completed their BE, B.Tech degree is a good opportunity.The individuals who are the occupation seekers searching for govt employments in West Bengal this is the best chance to apply. Competitors read the official notification then read all the guidelines and miners precisely then apply before the last date online application got. All the interested and eligible candidates can apply online before 15th September 2016. Candidates Age Limit: The age of the candidate should not above 28 years. The age of the applicant should be as on 1st July 2016. Academic Qualification Details: Candidates should have BE / B.Tech degree in mechanical engineering / aeronautical engineering / electrical engineering / electronics engineering / telecommunication engineering / instrumentation engineering / electronics and communication engineering with valid GATE score of 80% and Higher and 75% marks for Schedule caste categories candidates / schedule tribe categories candidates / other backward class categories candidates. Process of selection for the job: The selection of the candidates will be on the basis of management decision and would be informed through out website on or after 15th November 2016 to appear for an interview for final selection. Details of Fee particulars: All the interested and eligible candidates are need to pay application fee Rs 2000/- through State bank of India bank Challan. Not applicable for schedule caste categories candidates / schedule tribe categories candidates). Important Dates: Starting date for the position of online application is 8th August 2016. Last date for the position of online application is 15th September 2016. Last date for the submission of print out of online application is 30th September 2016. Process of applying for the job: All the interested and eligible candidates can send the print out of print out along with all testimonials to the post box no 12006, cossipore post office, Kolkata- 700002 on or before 30th September 2016.